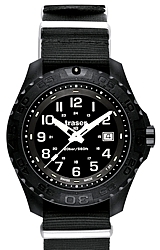 The Full Size Essential "M" has a 42 millimeter diameter and an all black design. 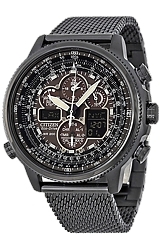 Model 108206 has a Black PVD Stainless Steel Milanese Bracelet. 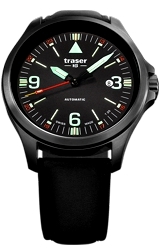 The Essential M is water resistant to 100 meters or 330 feet below sea level. 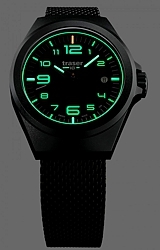 The dial is a combination of Tritium and Lumibright Luminesence for great looks and all night read-ability.